1. 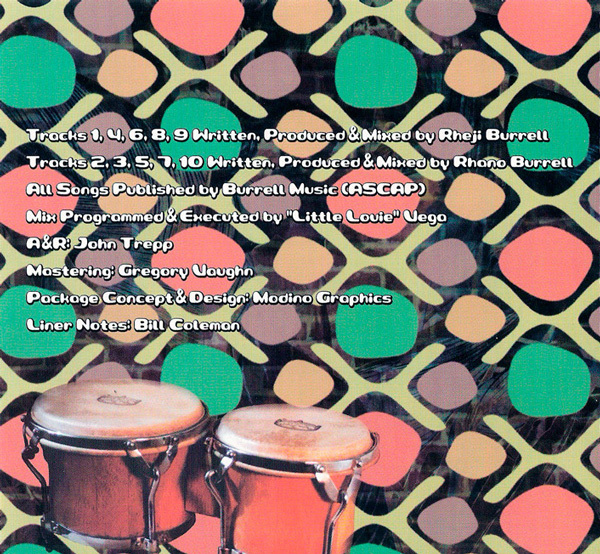 First tell us about Nu – Groove. 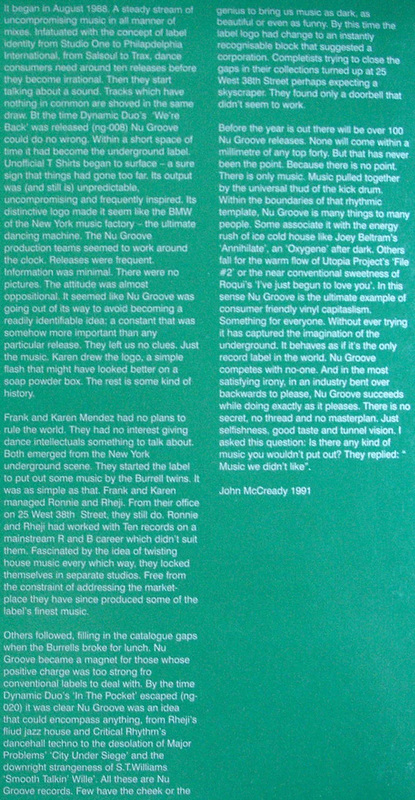 Nu Groove was an outlet for music lovers by music lovers… it just happened to be Uptempo Music and majority Dance / house style at first. But we all were interested in great music first! 2. Describe your sound and your music future vision.. I tried to make something that I “wished” that I did. Again I love music first, all types… so putting a 4 on the floor behind it, in most cases was the no brainer part of my productions. 3. Describe whats happening in Club Culture and life, 1989-92 and now? It became extra worldly and over-saturated… some good and some bad. Money and opportunity put a lot of people in the game, instead of talent. In short, in my opinion, too many fake deep people got through! and it never was about posing, just real! 4. Talk about Nu – Groove Records family. Frank – One of the smartest, funniest men I’ve ever known. I respected him and his business right up until the end. Karen – a sweet heart, Judy – Knows this game inside out and is funny as hell too. Artist, DJ’s and Producers – The music is our legacy, it speaks for it’s self! 5. Your “House Music” theory. Make music first..push the tempo and make sure you love it yourself. Impress yourself! That’s a “Theory” it translates to music, house music, polka music whatever! 6. Melody or Beat oriented? Both and More. I care about everything! It don’t matter. Digital is easier to work with of course, but the end result is what comes out of them 2 speakers. I never saw a dance floor clear cause someone used protools or logic instead a rack of keyboards and a 16 track. Could’ve been a church site. 9. Your coming new web site Burrell Brothers. 10. Your best all-the-time favourite five trax/titles. ALL of them. Like I said, I love them all or I would’ve let them out of the basement! A – What was your inspiration for doing “SONG OF THE SIREN”? Rhano did it… but I would guess.. to do something that he’s never heard before and hopefully neither has anyone else. B – …. “UTOPIA FILES?” these are my 2 favorite burrell grooves. Thank you very much Sir… I can take credit for that! C – HOW DO THEY FEEL ABOUT CHANGES IN NYC DANCE MUSIC SCENE? I stay in contact with a couple of close, high profile friends and associates just to be connected but “scene”… I’ find by not being around keeps my mind clear and my creativity from being influenced.. all I ever needed was inspiration and that comes from life! 1. 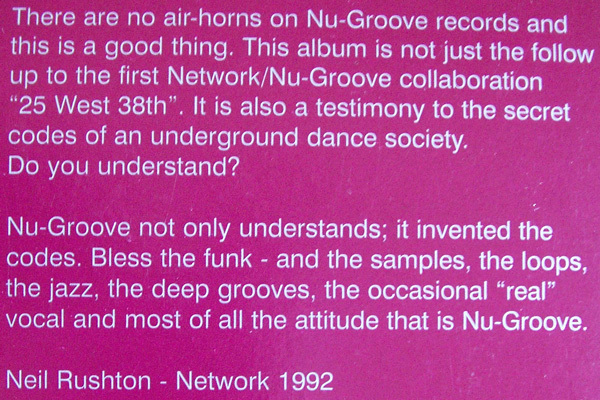 Nu Groove was one of the hottest Underground Dance labels back in 89. They had a raw style with music and touched on all flavors with their style of house music. You heard r&b, reggae, jazz & street influences all through many releases. Example “The Poem” produced by Bobby Konders, one of my favorites was jazz, reggae and house all in one, a classic! 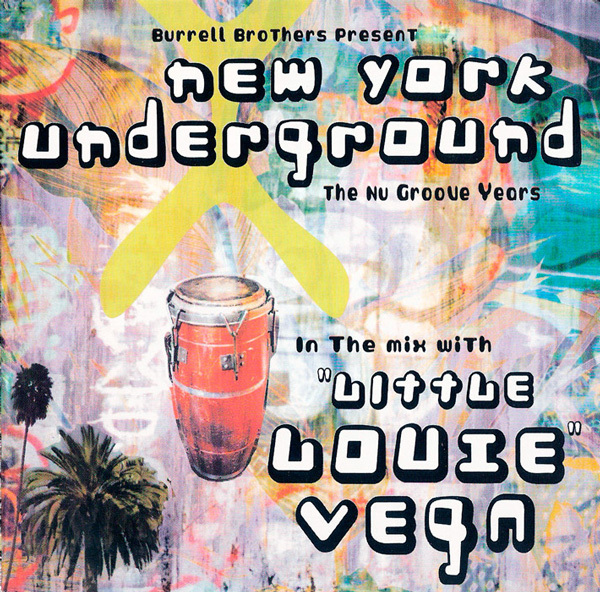 > New York Underground “The Nu Groove Years” mix CD you did. 2. I know the Burrell Bros. Many years, they asked me years back if I would do a mix cd of their classics. Of course I said yes. I played much of their music and respect them as producers. They brought lots of outside musical elements to house music that was not there at the time. They created many classic songs for the dance community and are pioneers of vocal house, bringing jazz, r&b, soul to the helm of house music at that time.